Local members of the community of Windsor turned out to support a charity quiz evening arranged by Lodge Brothers at the ‘Duke of Connaught’ pub in the town. The theme of the evening was ‘The 80s’, and everyone got into the spirit by dressing up in fancy dress. 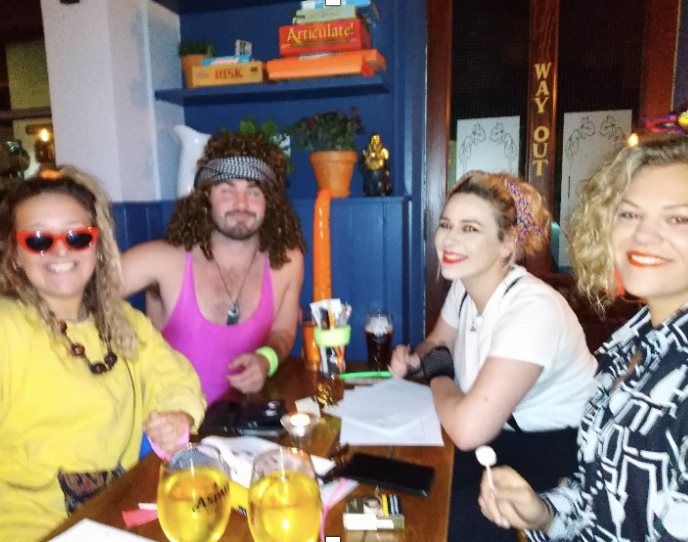 The evening was a huge success with a challenging quiz written by one of the locals, Fraser Grant, who included an enjoyable 80’s music round. With some fabulous raffle prizes sold and with pub landlord, Dan Keogh and his team providing a wonderful meal of Thai food, the evening raised £660 for Cancer Research UK. Over the last two years Lodge Brothers have raised thousands of pounds for both local and national charities. Indeed the next event to be held in the summer will be aiming to reach the £10,000 target. Please check this website for future dates. Branch arranger Jill Palmer commented: “I really enjoy putting on these events as it brings the Windsor community together in an evening both of fun and fund-raising for such deserving charities”.